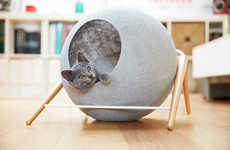 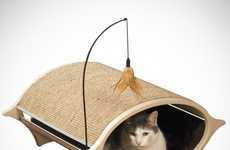 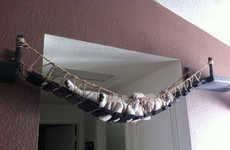 The eco-friendly cat furniture hopes to ensure the health of cats as well as the environment in which they live. 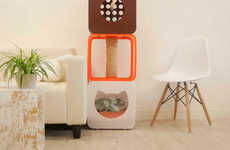 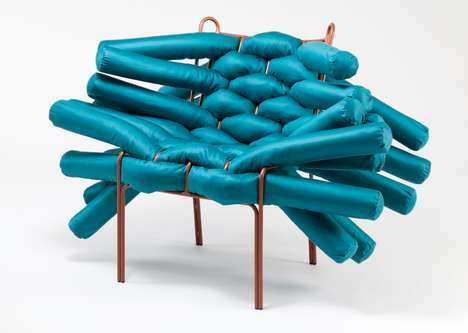 The furniture is unlike most that is specific to cats, with designs that are both decorative and functional. 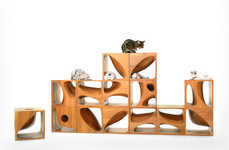 The products appear in the form of asymmetrical wooden shelves that are nailed to a wall for cats to freely wander around and to play on. 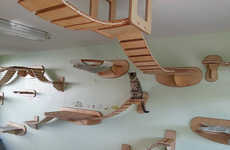 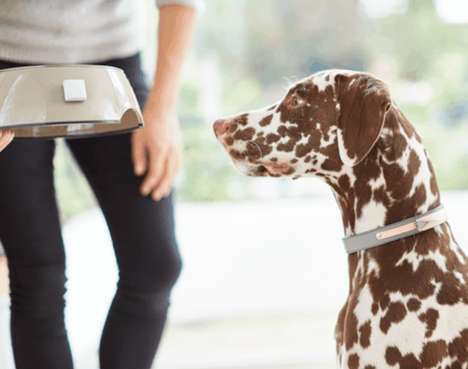 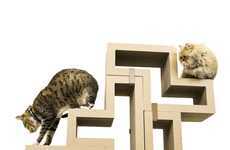 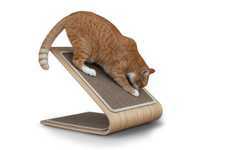 The environmentally friendly products are free from "carpets, plywood, glues, paints, stains and dyes" and were designed to encourage the climbing instincts of cats. 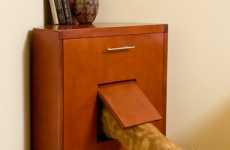 The eco-friendly cat furniture is made from reclaimed wood -- ensuring that the company's carbon footprint is as low as possible. 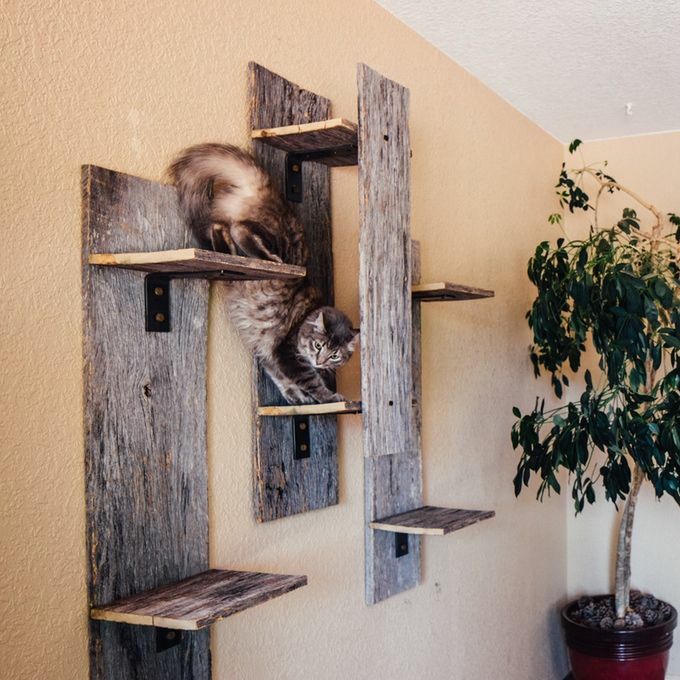 These rustic shelves are perfect for people with multiple cats who would like to spoil their pets -- but not to the detriment of their home design.